The method of body piercings brought up by the ancient rulers who governed the nations especially Egyptians. They brought this type of practices to make this as an ideal symbol of royalty and respect and restricted other people to wear this kind of piercings to get differentiated from others. Their dominance overruled others by undergoing body piercings and tattoos. Only the rulers and warriors were allowed to undergo these practices. But now people all over the world have been using this activity to denote their characteristics and latest trend. It’s more common among modern youngsters nowadays. They prefer to get pierced their body parts for several reasons to show them cool and modern. 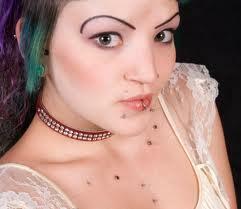 Each have individual reasons to get pierced their body parts but the actual tragedy of piercing does have risk factors.